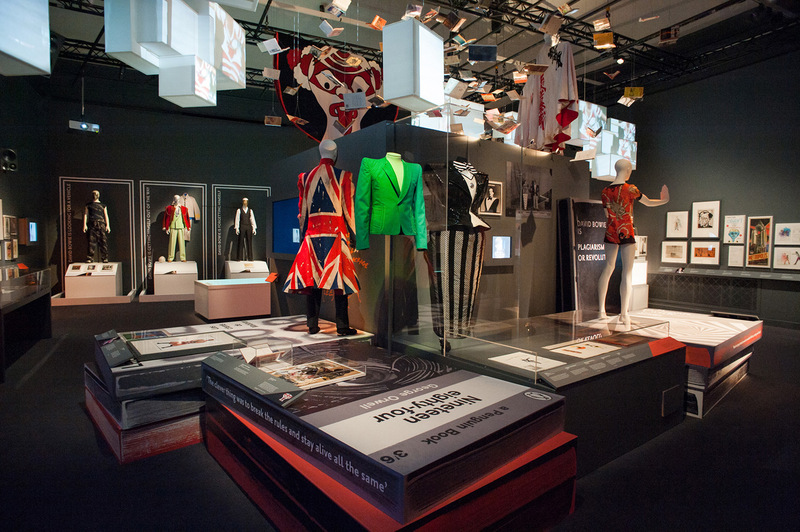 David Bowie Is - the first international retrospective of his career - showcases an unprecedented range of costumes, fine art and memorabilia from the David Bowie Archive, contextualising his influence on a broad range of art and culture across several decades. 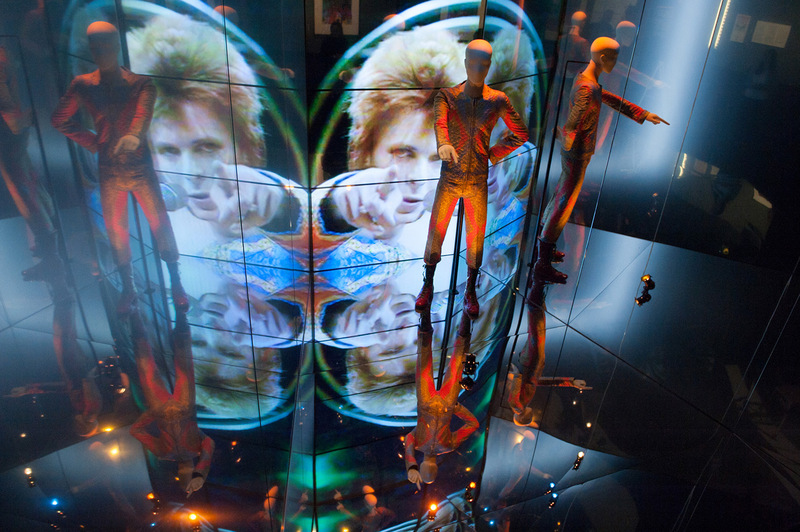 The exhibition is much more than a collection of iconic objects, and instead takes you on an immersive journey through Bowie’s colourful life. 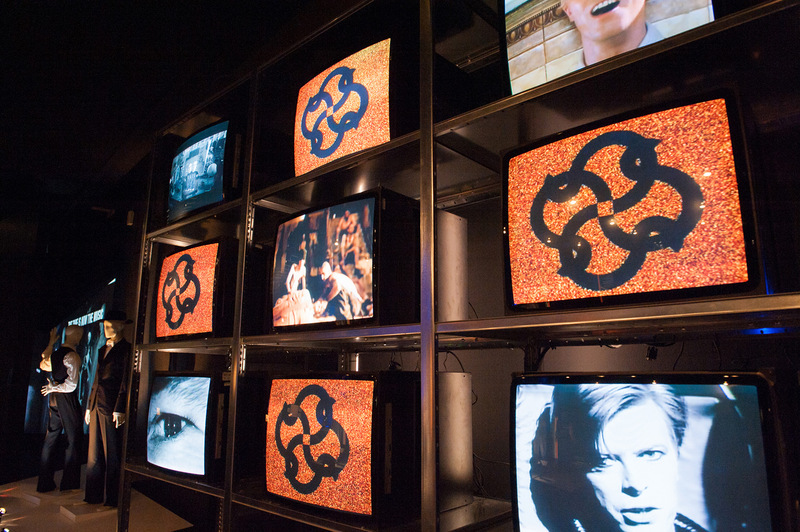 Using state of the art technology, the experience starts on a personal scale, with a real-time soundtrack of musical excerpts and interviews broadcast through headphones. 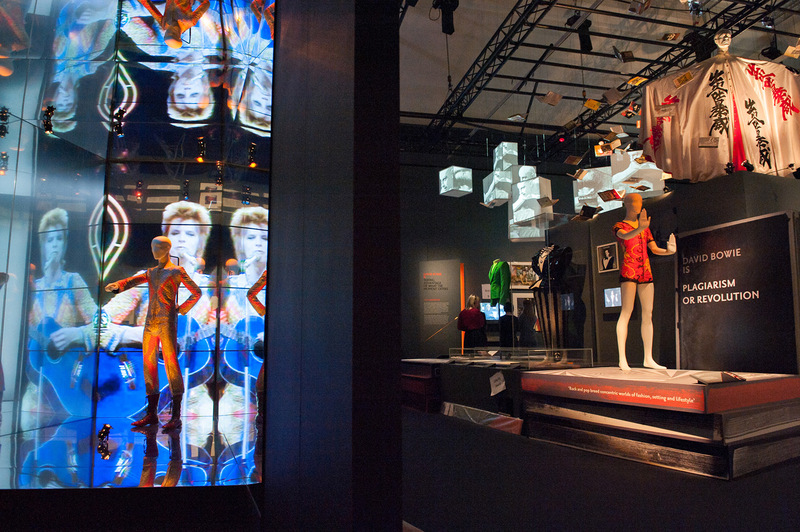 Subtle changes in lighting accentuate the dramatic personas inhabited by Bowie; video projections are juxtaposed with mannequins dressed in legendary costumes; hand- written lyrics are displayed next to tour memorabilia. 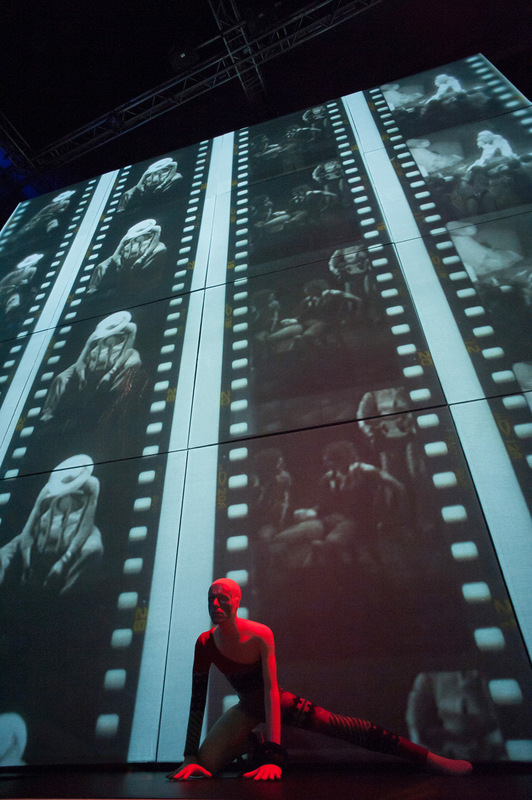 The experience culminates in a compelling theatrical show, where footage of Bowie’s live stage performances plays on 3-storey video walls, and 3D sound is broadcast into the room this time so that individual visitors remove their headphones and together experience the sensational impact of Bowie at the height of his career. 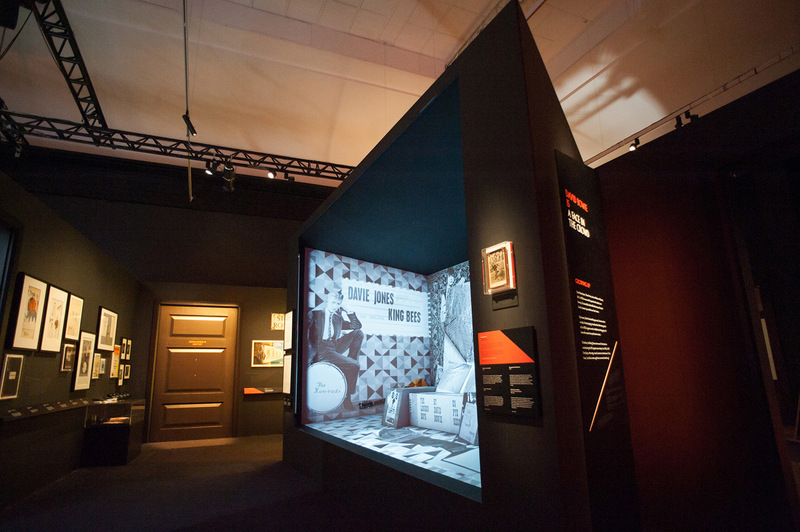 The exhibition shows the museum taking a new role which crosses boldly into theatre; unravelling a story that engages the visitor with subtle changes of atmosphere, inviting them to participate in the experience rather than observe it.